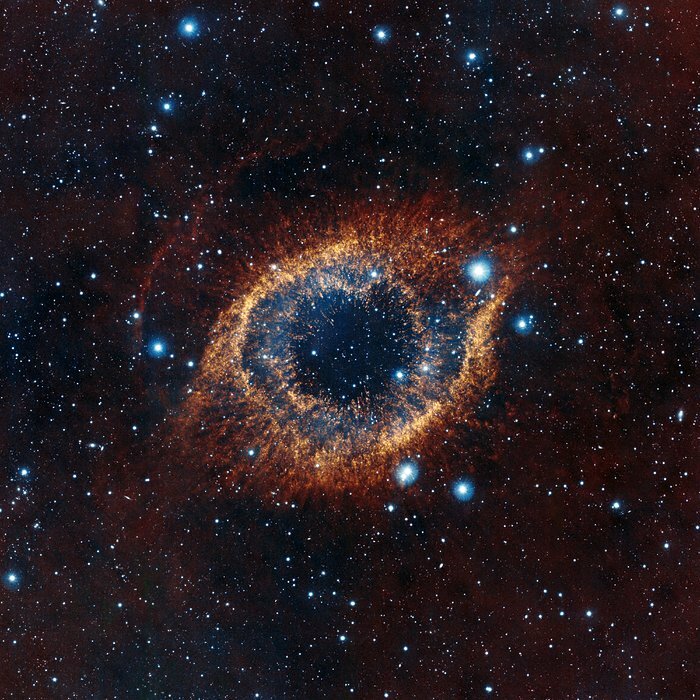 ESO Supernova Exhibition — Are we made of starstuff? Are we made of starstuff? Almost every atom in the Universe – and in your body – that is heavier than hydrogen or helium has been produced by nuclear reactions inside stars. 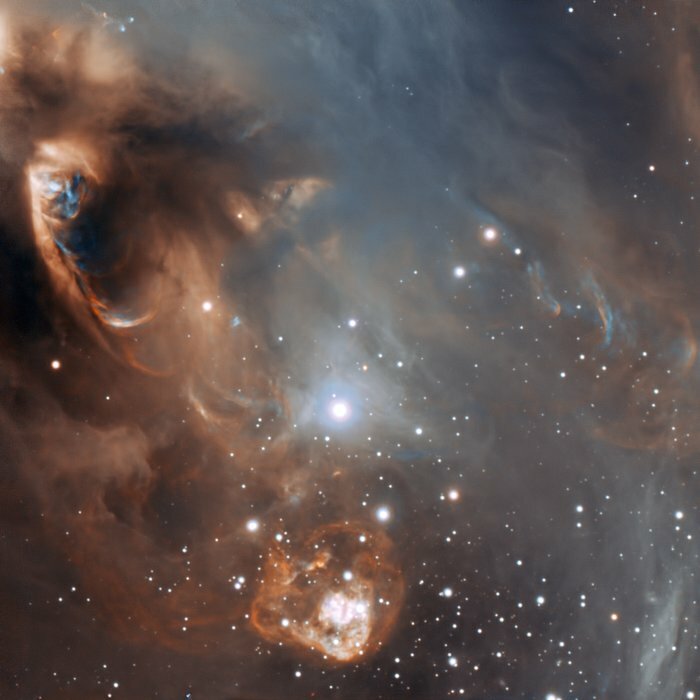 A star is born: Jets of gas are blown into space by newborn stars as they form from interstellar dust clouds. 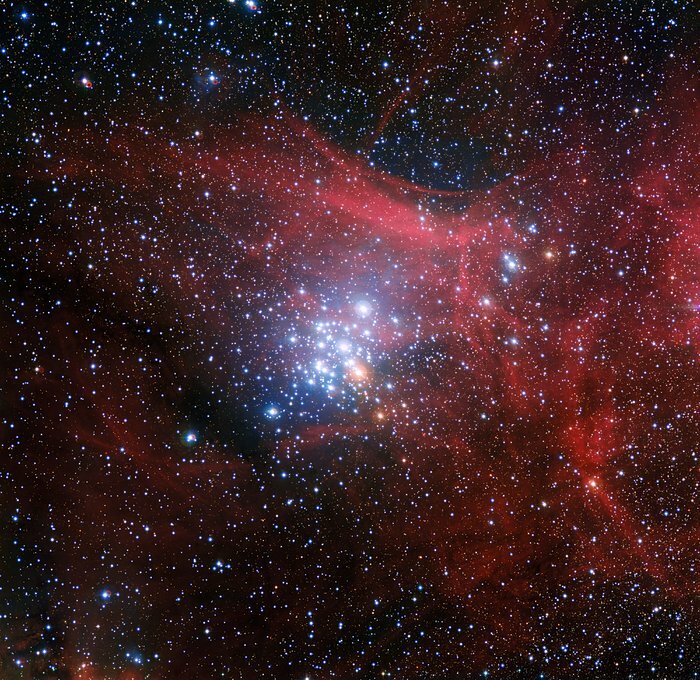 Element factories: Just 10 million years old, the stars in this cluster (NGC 3293) are already producing new elements. 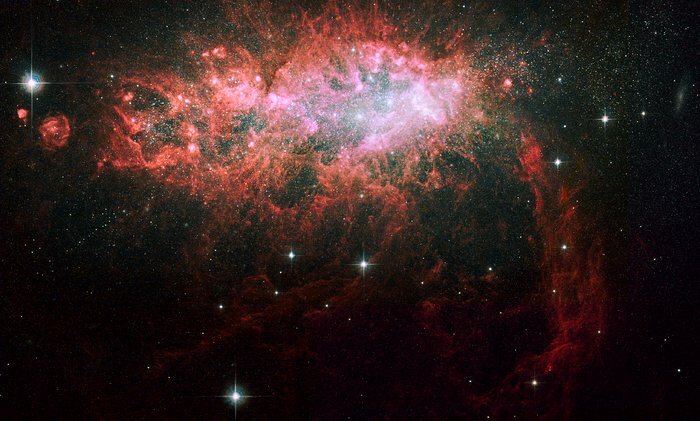 The Universe started out with around 75% hydrogen and 25% helium — the two simplest and lightest elements in nature. Inside stars, hydrogen nuclei fuse into even more helium. At later stages in the life of a star, helium nuclei fuse into carbon and oxygen. Eventually, every element in the periodic table up to iron is created during the lives of stars. Even heavier elements are produced in supernova explosions, which also disperse the new elements in interstellar space, ready to be used as the building blocks for new stars, planets and life. Cosmic cycle: Heavy elements are produced in stars and blown into space. There they become available for new generations of stars, which then start their lives with an enriched cocktail of elements. Sowing starstuff: Supernova explosions in the nearby dwarf galaxy NGC 1569 produce bubbles of gas and blow heavier elements into space. Did you know? Every atom of carbon, iron or calcium in your body was once produced in the hot interior of a star somewhere in space. So yes, you are made of the same stuff as stars.